Here’s a statistic to know: A recent OfficeTeam survey reported in Fortune magazine discovered that employees spend an average of 56 minutes/day using cell phones for activities that have nothing to do with work. 1. Texting and talking. With friends, family, and significant others. 2. Surfing internet sites. Like iFunny and other time-sucking websites costing you extra bandwidth and wasted man hours. 3. Interacting on social media. Like Facebook, Instagram, and Pinterest. 4. Playing games on their phone. Pokemon Go, Candy Crush, PUBG Mobile, Angry Birds, HQ Trivia. You get the picture. 5. Breaking phones with frequent drops or accidents on the job. 6. Leaving job sites. To go home, run errands, exercise — you name it. 7. Not answering. How many times have you called an employee just to get their voicemail? 8. Shopping online via their mobile phone. A Washington Post news article reported that many of us are shopping online just about as often as we take out the trash. That is, about 33 percent of us buy something on a phone or computer at least once per week. And, shopping via phones and online is only expected to increase as a recent Forester study revealed that more than one-third of retail sales will involve the use of mobile phones, whether in the researching, comparing or purchasing process. 9. Watching videos or movies. Could they be catching up on their binge-watching of their favorite shows or viewing funny cat videos on YouTube? 10. Catching up on personal emails. Are they clearing out their personal email accounts on your dime? 11. Reading the news or getting the latest sports statistics. Could they be using online sports gaming sites or crafting their fantasy football team? •	Business use only. No personal calls or texting. •	Radios are DOT Compliant. 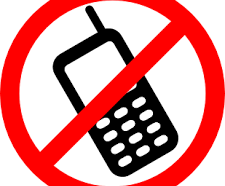 Not cell phones! •	GPS tracking so you know employee locations at all times. •	Enabling contact only with other employees and your company’s main office. •	Opportunities for group communication or one on one communication with individual employees. •	Elimination of unnecessary company-provided distractions that cost productivity. •	The ability to have instant communication. You only need to press a single button instead of looking up numbers or typing out messages, which can take up precious time when you have important messages to send. •	The ability to provide an SOS button. This gives your employees the opportunity to send out emergency notifications when accidents occur, or emergency situations arise. It provides you with peace of mind and provides the GPS location of your employee at the time the message is sent. We Have the Solution at www.GPSisUS.com 855-477-4787.